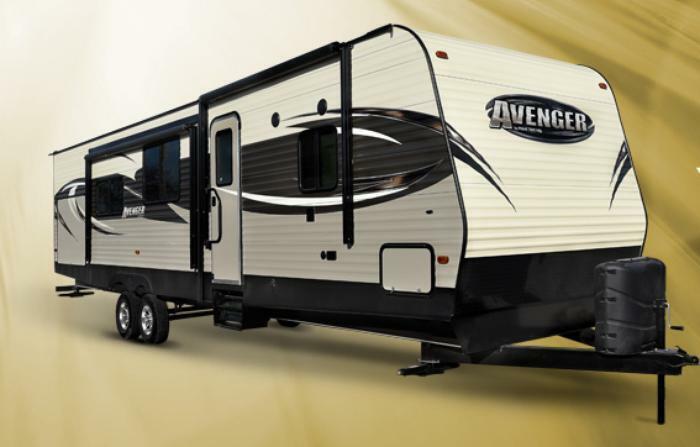 Forest River is recalling 32 model year 2017-2018 Prime Time Avenger motorhomes, model AVT31DBS. The vehicle’s federal placard indicates that the rear tire size is ST225/75R15E tires with 80 PSI, when it should state that the front, rear and spare tires are ST225/75R15E tires with 80 PSI. As such, these vehicles fail to comply with the requirements of Federal Motor Vehicle Safety Standard (FMVSS) number 110, "Tire Selection and Rims," and 567, "Certification." The incomplete federal placard information could cause the user to install an incorrect tire, resulting in a possible overloading of the vehicle, increasing the risk of a crash. Forest River will notify owners and will provide a corrected Federal placard, free of charge. The recall is expected to begin June 19, 2017. Owners may contact Forest River customer service at 1-574-862-1025. Forest River's number for this recall is 50-04182017-0392.